Going back to my first days when I played with metal clay, I still remember how confusing this material was for me at the beginning. I already started taking silversmithing classes at Southwest School of Art and my mind was use to the rough playing with hammers, jeweler saws and metal sheets. Metal clay was such a confusion but I knew I will like it. I played with metal clay two or three times and then I just decided to leave it on the side and focus on my metalsmithing work. It was until I took a casting class that I totally understood what this wonderful new material will do for me. Casting is an option but I did not have the equipment to do it in my home, this is why metal clay was the perfect option. I love to hand sculpt and carve and metal clay will give me the amazing opportunity to make pieces I have always had in my design note book. 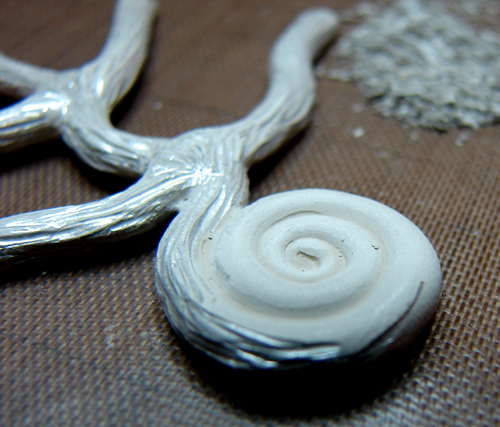 My designs are very three dimensional and with lots of details, metal clay will make all my ideas come to reality. 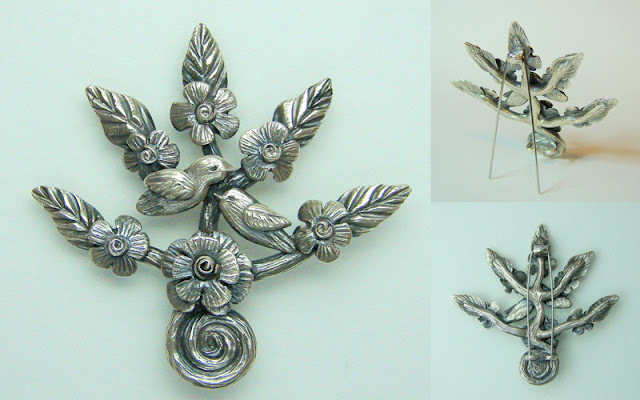 Since that day I have not been able to stop creating with metal clay, I still do some fabrication work but most of my pieces are made with metal clay. I absorbed myself into this way of working with the material, time can fly by and I feel like I have only been minutes working. 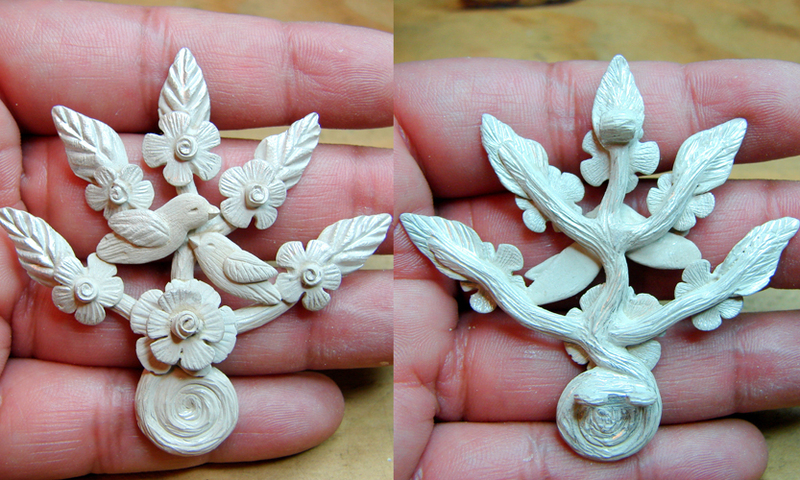 I am so relax and happy hand sculpting and carving every detail in all my work and finally yesterday I finished my first brooch I made with my tree of life design. 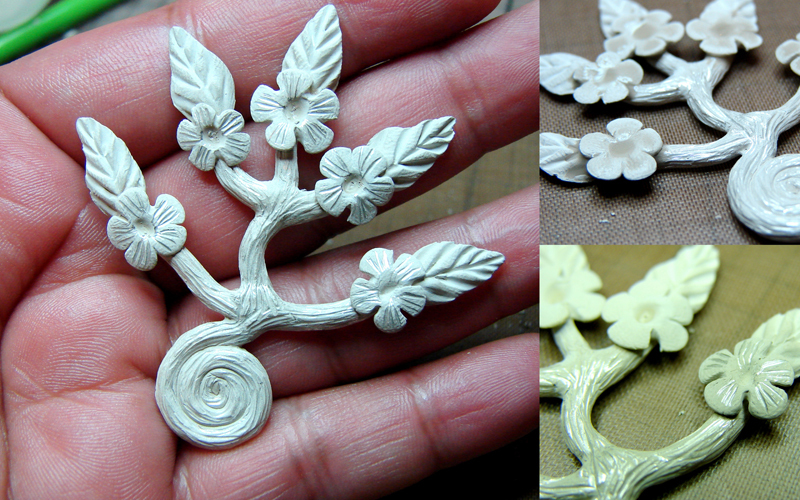 The Tree of Life (Arbol de Vida) is one of my symbolic pieces, I have made it into earrings, pendants, necklaces and cuffs. Now it was my turn to make it as a brooch. I am a passionate about detailing my work with a lot of attention in every side of my pieces. Spending time to make nice and clean finishing in the front is as important as taking your time to do the same on the back. I am not only talking about having a secret detail on the back, I am talking about having a clean and nice finishing. Craftsmanship is very important and we all must take our time to do so. What an absolutely beautiful piece of art!!! I love it!